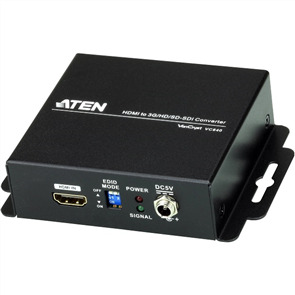 The VC1080 Universal A/V to HDMI Switch with Scaler from ATEN is a flexible video converter that offers an easy and convenient way of converting multiple analog/digital audio/video input signals into an HDMI output. 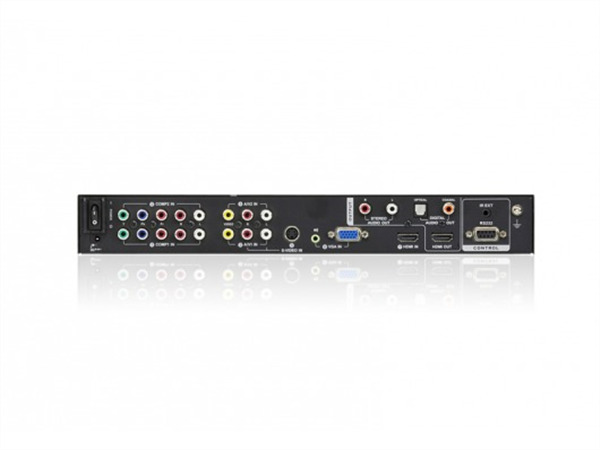 The switch offers a range of video inputs, including composite, component, S-video, VGA, and HDMI with one HDMI display output. The switch carries a scaling engine that converts the video resolution to offer high image quality. It is equipped with a color engine that automatically adjusts and enhances picture quality. The 3D de-interlacer function helps deliver smooth video playback. The Smart Video Display technology matches the display’s native resolution, as well as Video DynaSync, which optimizes the video display without any delay when switching devices. 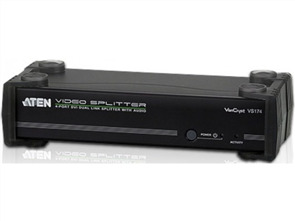 The VC1080 also integrates superior video noise reduction and comb filter for maximum viewing comfort. A built-in bidirectional RS-232 controller makes the switch easy to integrate into control system applications, and configure its settings. 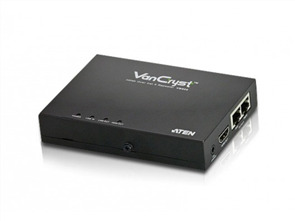 The unit is suitable for use in boardrooms, classrooms, and home theaters.